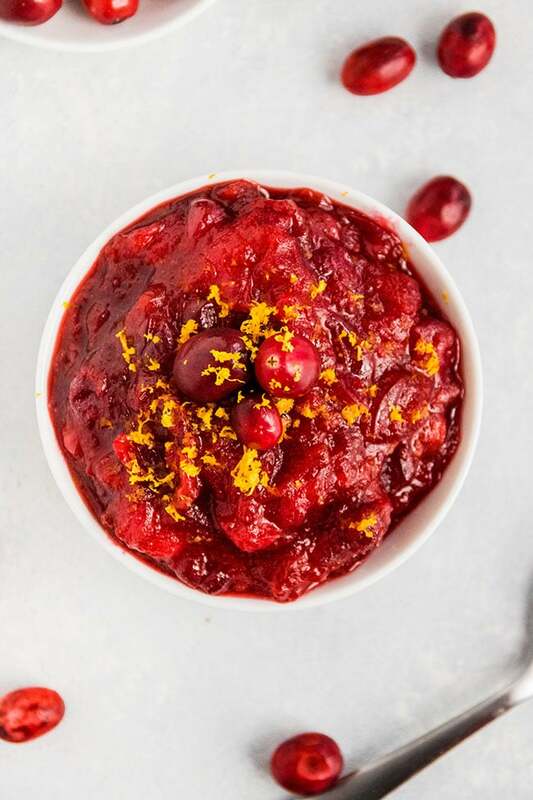 This easy, classic homemade cranberry sauce recipe is ready in less than thirty minutes, easily done ahead of time, and made without refined sugar! In a hurry? 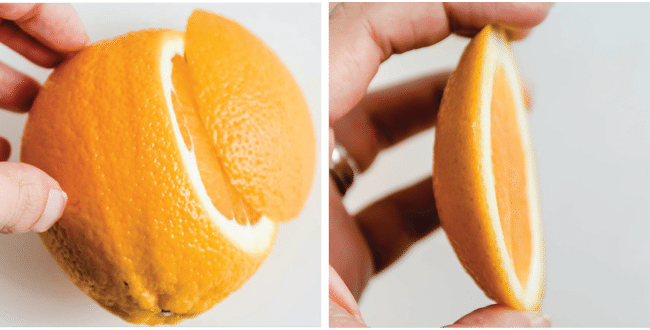 Click here to jump straight to the recipe and how-to video! Ok. QUESTION. 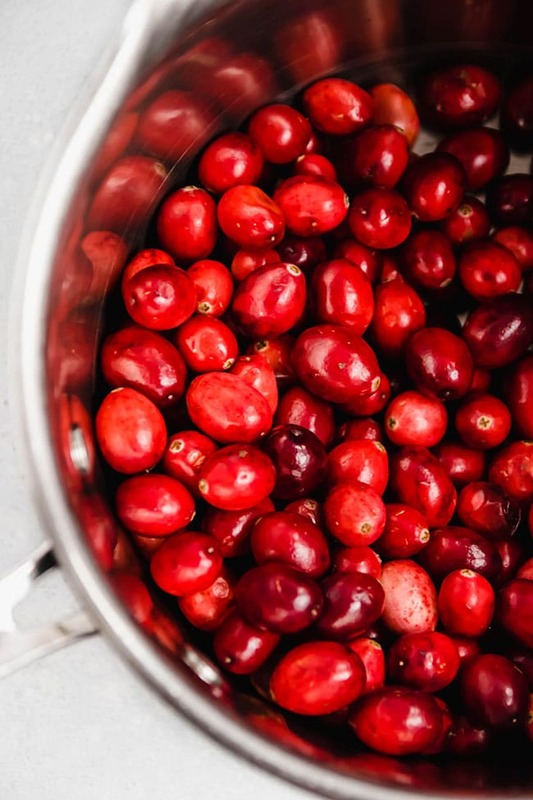 When it comes to Thanksgiving sides – CRANBERRY SAUCE: ultra-essential, or a bit overrated? I’ll confess I used to fall into the “overrated”camp. 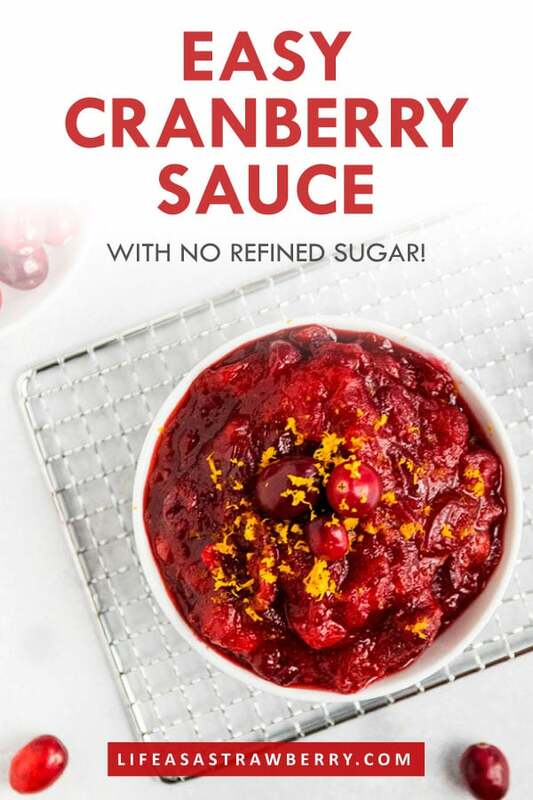 I don’t remember ever really caring about cranberry sauce before we started hosting Thanksgiving. But DESPITE my cranberry apathy, I started making this homemade sauce every Thanksgiving, mostly because “it’s TRADITIONAL” and “some people LIKE it” and blah blah blah. But you know what? It turns out I LOVE IT. Who knew?! 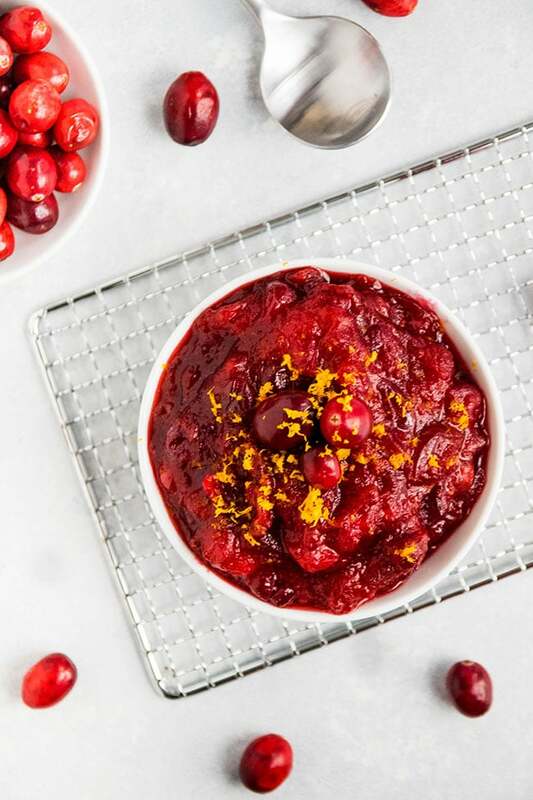 Cranberry sauce gives the perfect pop of brightness to otherwise heavy meals (looking at you, turkey + potatoes + gravy + rolls) and – GOOD NEWS – it’s almost absurdly easy to make. 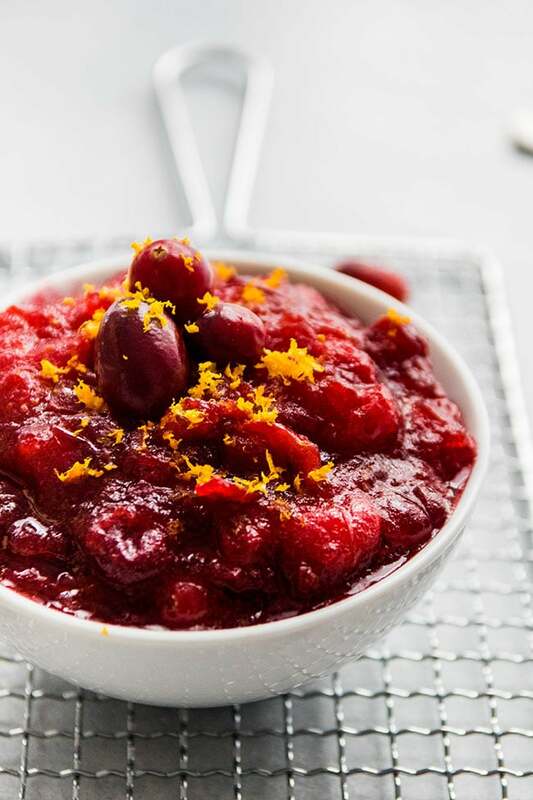 All you need are fresh cranberries, an orange slice (use more or less orange if you like!) and a few pantry staples. Plus, my version is processed-sugar-free! We’re just working with a bit of maple syrup and honey for some natural sweetness without refined sugar. 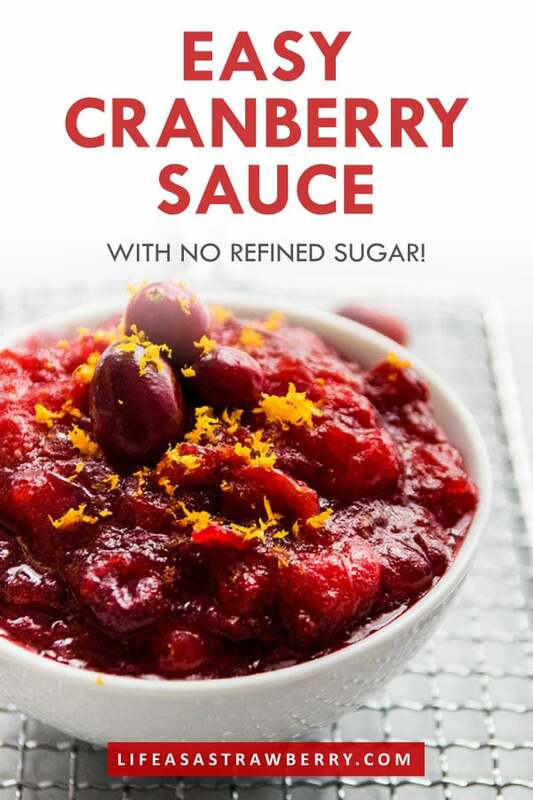 This cranberry sauce is good hot or cold – serve it immediately or make it in advance and take it straight from the fridge to your table! It has a hint of sweetness from the honey and maple syrup, but you still get a nice pop of tartness from the fresh cranberries. This recipe is also EXCEPTIONALLY forgiving, which means 1) it’s really, really hard to mess it up and 2) you can tweak and adjust things! Add more or less of anything and feel free to play with it until you find YOUR perfect combination. 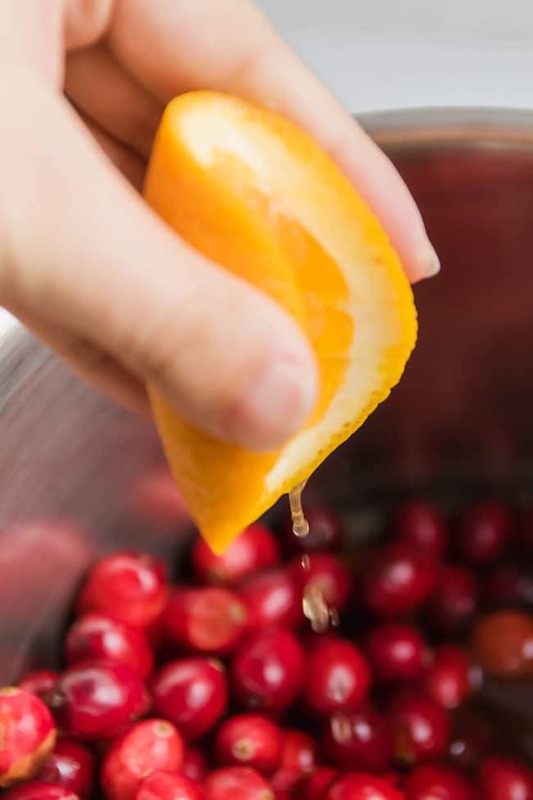 I make my fresh cranberry sauce with orange, natural sweeteners, and a bit of cinnamon, but this recipe is also great when you add a bit of ginger, a splash of whisk(e)y, a fresh rosemary sprig, or even a dash of vanilla extract. 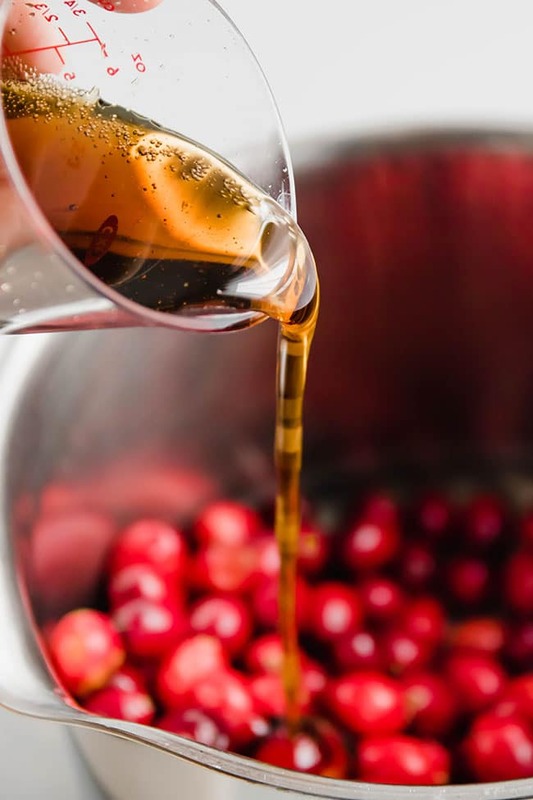 In a pinch, you can even just use fresh cranberries and a bit of sweetness (from honey, maple syrup, or plain ol’ sugar). 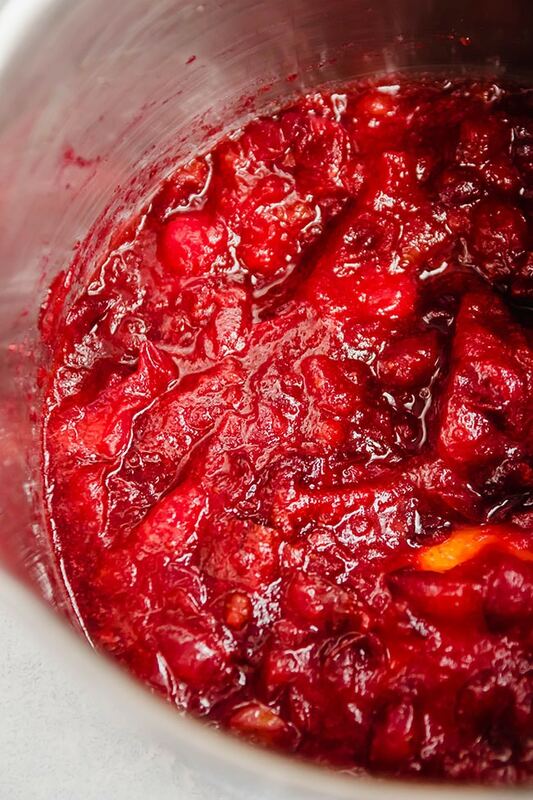 The most important flavor in cranberry sauce is, after all, the cranberries. This sauce can also be easily frozen – just keep it in an airtight container in the freezer for a few months until you’re ready to use it! It will last up to a year in the freezer in a good, airtight container, but it will taste the freshest within 3 months or so. 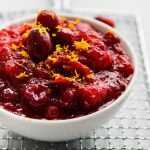 I tend to make this cranberry sauce for turkey every Thanksgiving, but it’s also great with pork, chicken, or salmon! I love it as a part of a large, festive holiday dinner or slathered across a piece of toast with some butter and salt. 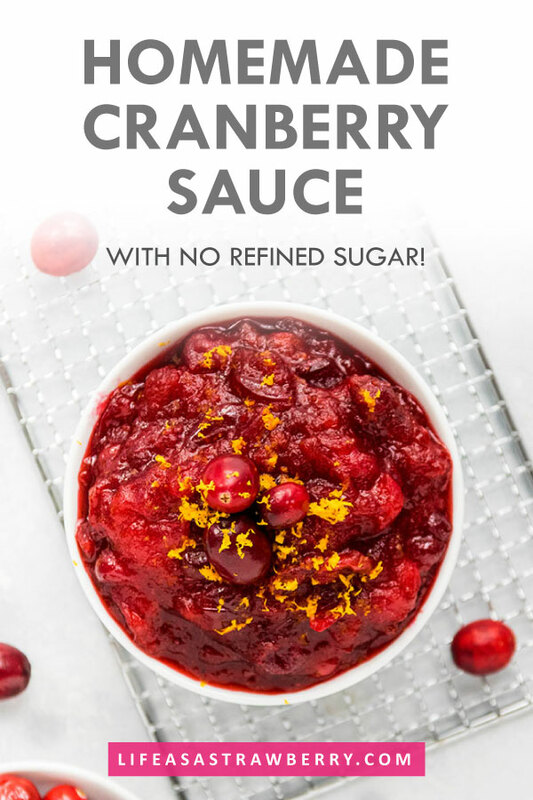 You can also use any leftovers to make a quick cranberry mayonnaise or try one of my favorite leftover recipes!